France's Charles de Gaulle aircraft carrier returned to the sea this week after spending more than a year undergoing upgrades that cost roughly $1.4 billion, the Direction Générale de l'Armement announced on Thursday. 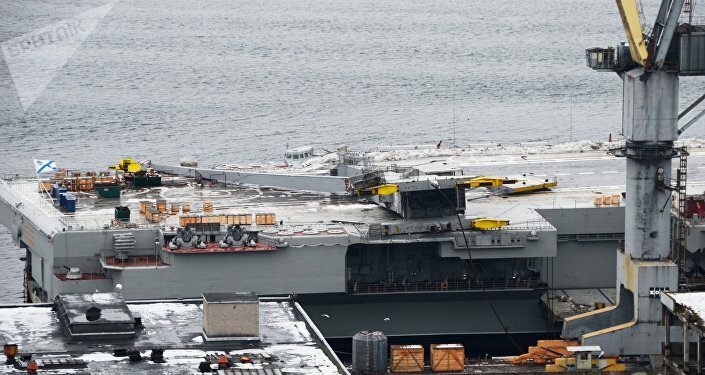 The nuclear-powered aircraft carrier was pulled from the ranks in May of 2017 so that officials could work to upgrade the vessel's combat systems, aircraft maintenance facilities and platform, according to defense website Jane's 360. New add-ons include a longer-range 3D surveillance radar, as well as modernized control rooms, telecommunication systems, automatic stabilization systems and steering control systems. Two cooling units were also replaced, and a control simulator was refitted. Per Reuters, the move to upgrade the carrier came after the vessel saw an uptick in usage between 2015 and 2016. Although the 850-foot vessel has technically rejoined the French Navy, it won't actually take part in any operations until 2019. Unidentified military sources told Reuters that the carrier is expected to be deployed to the Indian Ocean sometime in early February. Commissioned in 2001, the carrier will house French President Emmanuel Macron in the following week for a sole night ahead of its pre-deployment training phase, which will reportedly last for a period of five weeks. The carrier's return comes as France's government announced its plans on Tuesday that it's looking into building a new carrier that would ultimately replace the Charles de Gaulle, which is due to be retired in 2040, the Merco Press reported. "The Charles de Gaulle will need a successor," Florence Parly, the minister of France's armed forces, told reporters at the Euronaval industry expo in October. "The first step, which we're launching today, is a study period." "It's about deciding together what and how we want out future aircraft carrier to be," she added. The study, which will likely include a discussion of whether or not the new carrier will be nuclear-powered, is scheduled to last through 2020 with a budget of $45 million, according to the Merco Press. The replacement vessel is expected to operate within the French Navy until 2080.